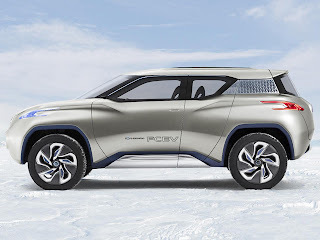 Nissan will present at the Paris Motor Show the concept car Terra, an SUV with an innovative electric propulsion system 4x4 with hydrogen fuel cell and an exterior design that suggests an unforgettable presence despite its compact dimensions, the Terra brings sustainable mobility to a new and exciting level. 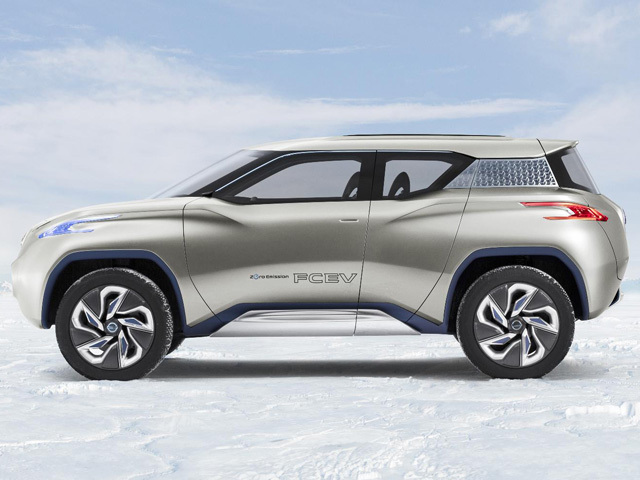 The Terra is a zero-emission concept SUV car. According to Nissan designers: "The target was a new approach to SUVs, designed more for urban life than to desert sand. The unique design of the diagonal seats offers an exciting driving experience thanks to its exceptional forward visibility, transmitting a feeling of total control in all conditions. "